GastriVet is a natural, nutritional gastric supplement developed by world leading veterinary scientists and nutritionists. Its clinically proven formula is widely recommended by vets and is ideal for all horses, including competition and performance horses and those prone to gastric ulcers. 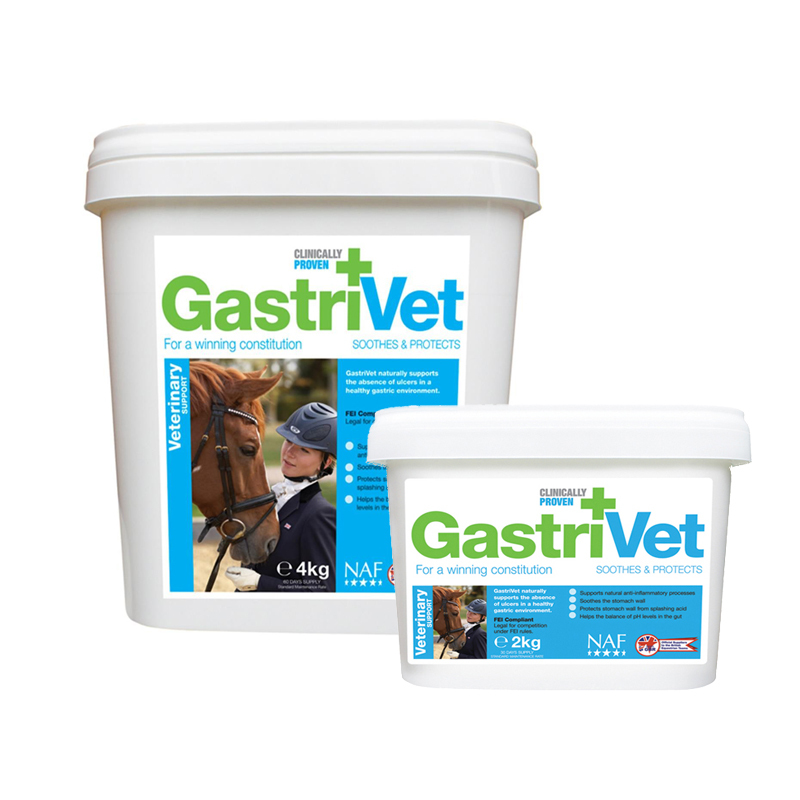 Gastrivet supports a healthy gastric environment, promotes the natural anti-inflammatory processes, protects the stomach wall and stabilises the gastric pH levels. It can be used in conjunction with veterinary treatment if used as part of an aftercare regime. Feeding tips: Split Gastrivet between a minimum of 2 feeds a day and introduce it gradually into feeds. Feed for a minimum of 4 weeks. If your horse is prone to gastric ulcers, we would recommend trickle feeding (4-6 small meals a day) an alfalfa based chaff feed. A 2kg pot (based on an intake of 66g per day) will last approximately 30 days.